Example of how PMI stretches your home-buying dollar. One of the earliest indicators of the housing meltdown which began in 2007 was that issuers of Private Mortgage Insurance (PMI) began to contract their underwriting guidelines for issuing PMI policies. In fact, so bad was the meltdown that many PMI companies either stopped issuing policies altogether while some were even forced file for bankruptcy protection. PMI is required by Fannie Mae and Freddie Mac, Government Sponsored Enterprises (GSE) who are the largest insurers of conventional/conforming loans to insure loans that have a loan to value ratio that exceed 80%. By contrast, it took Fannie Mae until well into 2009 before it dialed in their underwriting engines. Without 20% equity, most would-be homebuyers found themselves with very few loan options. Therefore, some 53% of new loan originations during this period shifted to the Federal Housing Administration (FHA) loans. 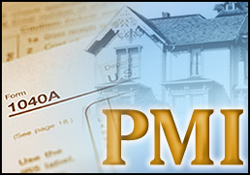 Fast forward to 2013; FHA Up Front PMI and monthly PMI both increased and monthly PMI payments are now required for the life of the loan, no longer until the principal loan balance is reduced to 78%. PMI companies see a clear and present opportunity to capture back the market share which was lost to both market conditions and the FHA. One way that PMI companies have shown their commitments are by reducing the required minimum credit scores or by opening up access to loan types such as cash out refinances, second homes as well as investment properties with loan to value ratios in some cases that are up to 95%. Improving job fronts and improving consumer sentiment combined with historically low interest rates have helped to contribute to the rising real estate markets here in Raleigh-Cary-Durham as well as many other major markets across the USA. 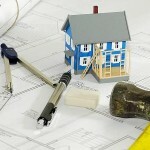 PMI companies have begun to loosen their own underwriting guidelines and that is a good thing. Although standards are still too high, they are at least beginning to move in a more positive direction. In short, easement of the PMI guidelines will allow more people to qualify for conventional mortgage loans who otherwise may have been shut out or forced into more expensive FHA loans while being capped at lesser FHA Loan Limits which in Wake County North Carolina are $295,000 for single family residence compared to a conventional loan which is $417,000. 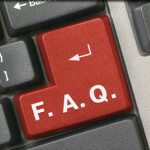 FAQ – How Will a Government Shut-down Delay My Mortgage Loan Application? FAQ – What is an FHA 203(k) loan good for?